At my church, Dayspring Church in Germantown (Maryland), a member faith community of Church of the Saviour, we have a Peace and Justice Candle brought to us by a member who was a Methodist pastor in South Africa and active in the struggle against apartheid. The Peace and Justice Candle is a candle surrounded by barbed wire. The barbed wire symbolizes something that is an obstacle to the Beloved Community, and the flame of the candle symbolizes the light of Christ shining in the darkness. Each Sunday, someone offers a reflection and lights the Peace and Justice Candle. This is my reflection offered on February 3, 2019. On February 1, 1960, 4 black students sat down at a Woolworth’s lunch counter in Greensboro, North Carolina, and asked for coffee. 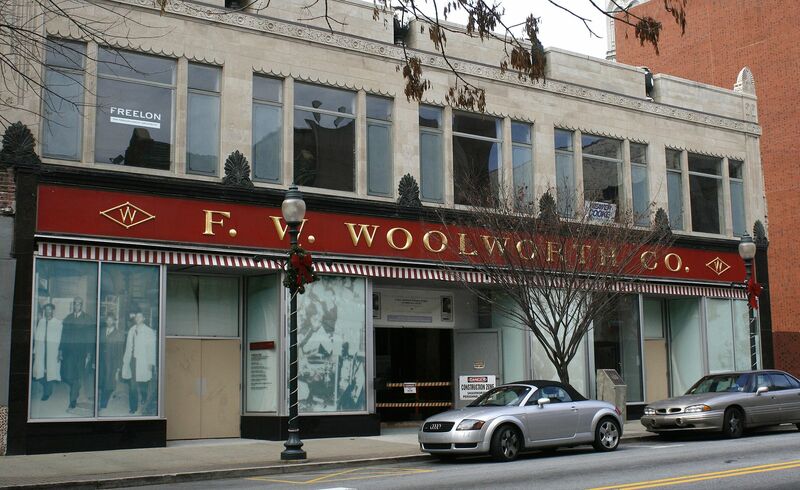 The store refused to serve them, and the students came back each day, soon with many more joining them, until July 25th, when management started serving blacks at the lunch counter. This wasn’t the first such sit-in, but this sit-in got national coverage and inspired people in many other cities to engage in such actions. It prompted statements of support from President Eisenhower and other prominent white Americans. And many lunch counters in a number of states were desegregated after sit-ins. 4 years later, the Federal government enacted the Civil Rights Act barring segregation in public accommodations. The courageous nonviolent witness of many people in a number of places, some of whom endured physical attack, did result in progress in the struggle against the evil of racism. •	In 2017, Harvard Business School analyzed 24 field experiments testing hiring discrimination over a period of 15 years. This meta-analysis showed that white applicants on average received 36% more callbacks than black applicants, and 24% more than Latinx applicants with identical resumes. Furthermore, it indicated that the situation had not improved for black applicants over the 15 years reviewed. •	A 2016 study by the Pew Research Center found that the median wealth of non-Hispanic white households was $171,000, 10 times greater than the $17,100 median wealth of black households. •	African-Americans comprise only 13% of the U.S. population and 14% of the monthly drug users, but are 37% of the people arrested for drug-related offenses and 57% of the people in state prisons for drug offenses. •	An African-American male born in 2001 has a 32% chance of going to jail in his lifetime, while a Latino male has a 17% chance and a white male only has a 6% chance. If I tried to give all the possible information on how racism impacts African-Americans, we’d probably still be here at kickoff for the Super Bowl. Suffice it to say there’s a lot of work to do, and we each need to prayerfully consider our part in that work. The barbed wire symbolizes how racism limits the opportunities for African-Americans to show their God-given potential. The flame that I am about to light symbolizes the light of Christ who came to liberate the oppressed and call us to be the Beloved Community. This is a message given at Dayspring Church, Germantown, Maryland, on September 9, 2018, which you can also listen to. The photo below was taken during the service. I am in the center, surrounded by members of the Retreat Mission Group. Good morning! Today I make the commitment to be an Intern Member at Dayspring. I thought it would be good to share with the community some of the things which underlie this decision. My apologies to those hoping for an exploration into today’s lectionary readings. You aren’t going to get much of that! In the spring of 2014, my wife and I moved to Rockville. Initially, I continued to attend the church where I had been a member for 9 years, despite it being twice as far now. I shared the values of that church, but it was a couple of hundred people which was big to be a real community. There were folks I saw each Sunday whose faces I recognized, but I didn’t know their names let alone anything about them. That church tried to be participatory, but at its size it was still mostly a relatively small group of leaders talking to a much larger audience. I became increasingly uncomfortable with this de facto division in the congregation. Then I attended the Fall Gathering of the Friends of Jesus Fellowship, with which I had been involved for a couple of years. That particular Gathering had a strong charismatic flavor which I loved. In me, this resulted in a feeling that it was time for me to seek a new spiritual home. Following on the charismatic flavor of that Gathering and all I felt I had learned in my previous time when I had attended a charismatic church for a while, I decided to see if I could find a nearby charismatic or Pentecostal church which seemed to have a theological bent I could live with. So I began Googling for such churches in the Rockville-Gaithersburg area. None of the charismatic or Pentecostal churches in the area seemed like a place where I was likely to be comfortable. While I was googling, ads for Journey’s Crossing kept popping up. Journey’s Crossing was then meeting at Seneca Valley High School here in Germantown. I had not looked at Germantown because I was still somewhat ignorant of the geography in the area, and had assumed it was too far. But when I put it in Google maps, it wasn’t nearly as far as I thought. I didn’t think Journey’s Crossing was likely to be where I would land, but it seemed interesting and I did attend a couple of times. This confirmed that Germantown was within reach. Then I recalled Dayspring, where I had been at the retreat center a few times. I was aware there was a church at Dayspring. The Church of the Saviour had long intrigued me, but my experience with it was limited. 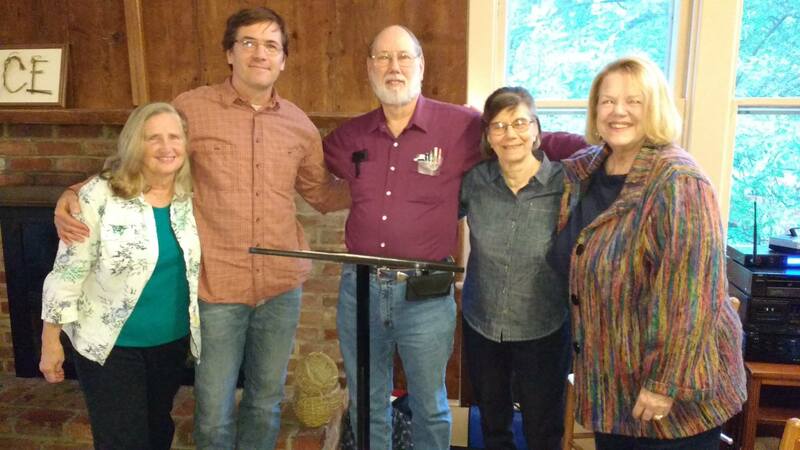 I had been at the Potter’s House a few times in the 1970’s, visited 2025 one Sunday, been to retreats at Dayspring and Wellspring, and had read Elizabeth O’Connor’s Journey Inward, Journey Outward with a church group. In November 2014, I began attending Dayspring Church, and have attended regularly ever since. Why have I been so drawn to Dayspring? I can’t recall a faith community of which I have been a part where I have seen this fruit so clearly and widely exhibited as at Dayspring. This reflects the CofS tradition which expects each member to be serious about their faith, and provides guidance in ways to grow in it. So here was a faith community in which I could be challenged to grow in my walk with Christ, being encouraged by what I see in the faith community. I will speak about just a couple of these attributes of the Spirit. It seems evident to me that the people of Dayspring genuinely love each other and those that visit. It is also evident that this love extends much more broadly, for example to the refugees being helped by IFND. I see here the living out of the Greatest Commandment and the one that is like unto it. Dayspring folks exhibit a joy that is not dependent upon circumstances. It is a joy that is not just at the surface level, and one that exists despite awareness of deep evil and pain in the world. True joy recognizes that despite all these problems, we are truly blessed and there is much to be thankful for and much reason for hope. In our scripture for today, in Psalm 146, it says, Praise the Lord! Praise the Lord, O my soul! I will praise the Lord as long as I live; I will sing praises to my God all my life long. So how does this work? In the CofS tradition, there is an emphasis on a balance and interchange between the inward and the outward life. This is not a unique insight of the CofS, but it is a particularly strong emphasis here. I have seen that sometimes in faith communities there arises a division between the activists and the “spiritual” folks. This can be very harmful to the unity of the faith community. And if it festers, those on either side of the division become more one-dimensional, less whole. When we look at the life and ministry of Jesus, we see someone who clearly transcended this division. Rather, he regularly retreated to a quiet place to take time to pray. This enabled Him to gather the strength needed for his outward ministry of reaching out to others with healing, teaching, etc. He saw these as intrinsically connected. In many faith communities, there are groups – committees, boards, teams, etc. – which oversee the outward work of the ministries of the church. And there may also be other groups which focus on the inward journey of church members, where the spiritual disciplines may be encouraged. In the early years of the CofS, Gordon [Editor's Note: Gordon Cosby, founder of The Church of the Saviour] recognized a need to get away from this traditional way of organization. Out of this recognition grew the mission group orientation which has become so central to the CofS tradition. Mission groups are deliberately structured to include both the inward journey and the outward journey. I hope members never forget how big a treasure the mission group model of the CofS is. It remains rare. I believe it is one of the keys to the small CofS faith communities having done so much good in the world. Church life has been carefully structured to facilitate proper grounding for our ministries. I often see at Dayspring both a willingness to live out and articulate the spiritual insights folks have learned, and a recognition that they need to continue to grow which includes an eagerness to truly listen to the insights of others. Mature Christians do not think they have it all together, but recognize both the gifts they have received and their need to continue to grow in Christ. Jesus’ strongest opponents were the legalist religious leaders of his day. Yet today many of those who claim to be the strongest followers of Jesus have a legalist, doctrinaire approach. I appreciate that Dayspring doesn’t insist on a rigid theological perspective or overly restrictive standard of behavior. It seems to me one of the strengths of the CofS way is that it emphasizes following Jesus Christ while welcoming the exploration and questioning of what exactly that means in our lives. There is a spirit of listening even to understandings that may not initially appeal to us with openness and a willingness to learn. Another strength is in asserting that all members are ministers of the gospel, rejecting the unbiblical idea of a laity in the faith community. I especially appreciate Dayspring’s decision not to have a single pastor to play the key role in worship, but to spread leadership among the gathered community. I appreciate hearing the insights and experiencing the gifts of multiple people in our community in weekly worship as well as in other aspects of community life. And remember that I set out on the search for a new faith home that ended at Dayspring by looking for a community that was charismatic? Dayspring isn’t normally described as a charismatic church, but to me what I seek as charismatic is an openness to how the spirit may move in the moment. I have seen some of that in worship at Dayspring, and I really appreciate the freedom for people to respond in worship beyond what is in the printed bulletin. Now let me move from the Church in general, and to my specific call to the Retreat Mission Group. I have an activist temperament. Back in my 20’s, I tried to be involved in every good thing. The result was that I collapsed in exhaustion. That experience taught me that I needed to stop frantically trying to do all the “right” things and instead seek to discern God’s call for my own life and trust God to call others to do the needed things to which I was not called. This led me to look more to the inward journey, and to become involved in things like organizing spiritual retreats and going through the Spiritual Nurture Program of the School of the Spirit. I sometimes called myself a spiritual renewal activist. There is much which needs doing in the world to bring about the reconciliation of all creation with Christ. I get discouraged when I see a lot of activism that is full of fury and even hatred. This won’t get us where we need to go. I believe there is a deep need in these times in our society for those who want to heal this world to “be still and know that I am God” so they can be centered for the work needed and discern their role given their own God-given gifts. This highlights the importance of the work of the Silent Retreat Center. I began talking with Catherine in 2015 about the possibility of joining the Mission Group. I came to realize I needed to be released from some of the things to which I was then committed in order to free myself for this call. In 2017, much of that release came to fruition. I started sitting with the Retreat Mission Group in February 2018. Since I started meeting with the Mission Group, I have felt at home there. I feel blessed to meet weekly with these special folks and to play some role in this important ministry. I am sorry that this message has been a little choppy, but I hope it has given you a feel for my call to Dayspring Church and the Retreat Mission Group. If there are some things you would like to clarify, I think there is time for a couple of brief questions. Note: The questions and answers can be heard in the audio version. I commit myself to the covenant of my mission group. By this I declare my willingness to be held accountable for the disciplines that the members have made explicit. I recognize that in making this pledge I am committing myself to involvement with people who are not like me - whose opinions and ways may be in opposition to my own. I thus declare my willingness to be stretched in uncomfortable ways, and to live in the tension and pain of unresolved relationships until differences shall be transcended and hurt transmuted. I acknowledge that the cornerstone of this community is Jesus Christ, Servant and Liberator - the One who said, “Love one another as I have loved you. There is no greater love than to lay down one’s life for one’s friends” (John 15:12-13). In committing myself to the covenant of the mission I confess my willingness to take upon myself the lifestyle of servant. I will endeavor to grow in my availability to each person in the group and I will join in the struggle for the liberation of the oppressed. I will seek not only to receive, but to give, not only to be loved, but to love. I will give myself to discovering what it means to be a free person in community and what it means to be a community of free persons. I recognize that though I am bound by the covenant of my mission group, I am ever free to break with it - never by default, but by open decision arrived at through meditation and in conversation with members of my group. I celebrate this day because I believe that in binding myself in this covenant, I will be given new possibilities for a life of growth, freedom, and devotion. At Dayspring Church, we have a peace and justice candle brought to us from South Africa. Each week, someone shares a reflection around a peace and justice theme and lights the candle. 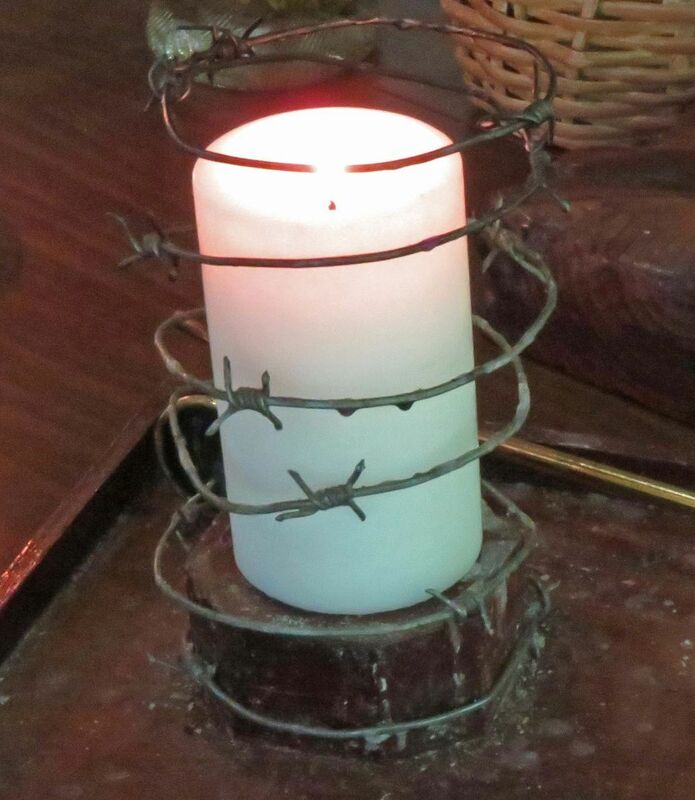 The barbed wire around the candle represents some barrier people have created between themselves and the light of Christ, which is represented by the candle. We believe the light of Christ ultimately prevails, and we are called to be witnesses to that light. Today (July 8, 2018), I shared about nuclear weapons. You can listen to the audio of the reflection. The text is below. When I thought about what I might share during this time today, I decided to look at what happened on this date in history. That gave me a couple of ideas. The one that I chose was that in 1957, on this date, the First Pugwash Conference on nuclear disarmament was held. Pugwash is a peace effort initiated by scientists. 2 years prior to that conference, Bertrand Russell initiated a manifesto signed by 11 scientists and intellectuals warning of the dangers of nuclear war. One of the signers was Albert Einstein, who died only a few days after signing. As we all know, the USA is the only nation to have used nuclear weapons in war. 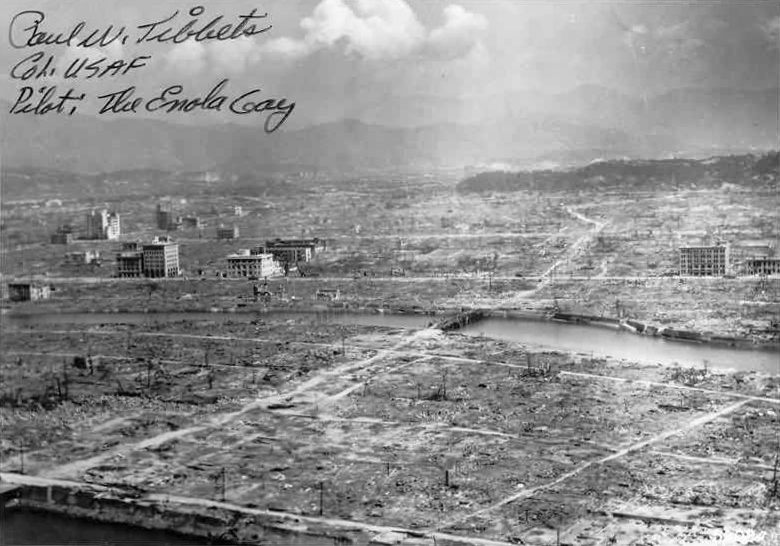 We don’t have an exact death count from the nuclear attacks on Hiroshima and Nagasaki, but Wikipedia states that at least 129,000 human beings were killed, mostly civilians. In terms of discrete events happening in a single moment, these two attacks surely rank #1 and #2 on the list of acts of terrorism and war with the greatest number of fatalities. The nuclear arms race has continued since that time. 4 other events I found in the July 8 listing were nuclear tests. The Federation of American Scientists finds that about 9300 nuclear weapons are currently in military stockpiles. About 90% of these are held by the USA and Russia. The USA is currently engaged in a process of modernizing our nuclear weapons arsenal costing we taxpayers about $1.2 trillion, according to the Congressional Budget Office. In response, Russia is also modernizing its nuclear arsenal. There have been many efforts to deal with this problem. A year ago yesterday, the UN Treaty on the Prohibition of Nuclear Weapons was approved by 122 nations. These 122 included South Africa and Kazakhstan, the 2 nations formerly possessing nuclear weapons which gave them up voluntarily. Unfortunately, the current nuclear weapons states were not receptive to this effort. 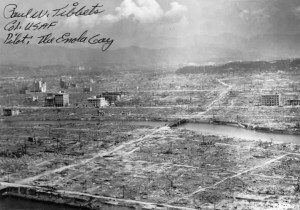 North Korea was the only nuclear weapons state which voted in the General Assembly for holding the conference which negotiated the treaty, and no nuclear weapons state participated in the negotiations and none have signed the treaty. Today the barbed wire represents the danger posed to humanity and all of creation by nuclear weapons and other weapons of mass destruction. Inside the barbed wire, the candle flame represents the light of Christ calling on us to recognize our common humanity and to live in peace with one another. Let us pray. Lord, forgive us for our complicity in programs developing and deploying weapons of mass destruction. Guide us in living lives demonstrating respect for the dignity of each human life. We pray that our national leaders, and those of other nuclear weapons states, will be moved to work for a world free of weapons of mass destruction. In the name of the Prince of Peace, we pray. Amen. We have an election here in the United States in which both major parties have now nominated very unpopular Presidential candidates. A Data Targeting poll in May showed that 65% would be “at least somewhat, pretty or very willing to support a candidate for President who is not Donald Trump or Hillary Clinton.” A Gallup Poll last September found that 60% thought a third party was needed. Dissatisfaction with the present two-party system is at an all-time high. This is causing much dialogue about whether to vote for a third party or whether you need to vote for the major party candidate you least dislike because of the threat of election of the other major party candidate on the theory that third party votes hurt your second choice candidate. My contention is that your view on this may be very different depending on whether you are looking at it from a short-range perspective - generally one based only on this election - or a long-range perspective. Why do we have a two-party system? Well the crux of it is what has been called Duverger’s Law. Duverger’s law is a principle which states that plurality-rule elections structured within single-member districts tend to favor a two-party system. The reason is that voting for a relatively weak party creates the possibility that a major party will win without a majority of the vote, and it is likely to be the party most disliked by the voters for that relatively weak party. Based on this logic, many voters will engage in “lesser evil” voting in which they will not vote for the candidate they most agree with if s/he is a third-party candidate but instead for whichever one of the major party candidates they find less distasteful. The result is an enormous barrier to the rise of new parties. The U.S. Constitution did not establish a two-party system or a party system at all, nor did it establish plurality voting. It mostly leaves elections up to the states. Most states (but not all) have a system in which the candidate with the most votes, no matter how small a percentage of the total vote that is, wins. This has greatly favored our present two-party system. The President is chosen by an indirect means called the Electoral College. The details of how it works are not specified in the Constitution, but are a matter of federal statute. Unlike the case in most American elections, a majority vote is required in the Electoral College. So if there were multiple candidates with electoral votes and none had an initial majority, the electors would need to negotiate among themselves to come to a majority agreement on whom to elect, and the President and Vice President elected would not have to be from the same party. This is somewhat similar to parliamentary systems in many countries, where multiple parties negotiate to select a government. If the Electoral College deadlocks, the House (voting by state delegation) chooses the President and the Senate the Vice President. So it is not federal requirements which produce the two-party system. Most of these people agree a change in the system is needed. However, they say first we need to deal with this election. This happens every election. Mañana never comes with this short-range thinking. In theory, we can work for changes in election processes while continuing to operate under the two-party system but the likelihood of success is very small. In the first place, you can’t get the momentum needed for such a major change. Secondly, the change is not in the interests of the two parties favored by the current system so why should they allow a change? Meaningful social change usually is a process which takes some time. It needs long-range thinking in order to succeed. And it absolutely requires the taking of risks. There is no risk-free social change process. And it normally involves efforts to actually implement what change you can without official governmental action. It also acknowledges that making the negative effects of the current system more obvious to the masses is usually key to getting large-scale popular support for change. So how would we approach the election from a long-term social change oriented point of view? In the first place, we would be more willing to accept short-term risk. For example, would voting for Jill Stein make the election of Donald Trump more likely than if we voted for Hillary Clinton? We don’t really know, but we have to accept the risk that this might be the case if we want change in the long-term. Otherwise, the system won’t change. But if it was seen that the current system created a mess when there were four or five parties getting significant numbers of votes, there would be a great impetus to change the system to better accommodate multiple parties. From a long-term social change oriented point of view, we vote for a candidate who for the most part expresses our beliefs without being too concerned about the overall results of this particular election. The more votes there are for third parties the more the possibility of a multi-party system becomes evident and the more the problems of the current system become evident. There arises greater awareness of the possibility of using a different system, and greater awareness of the flaws in the current system. If the number of votes for third parties (not just for the Presidency - the Green and Libertarian Parties are running many candidates for Congress as well as state and local offices) rises substantially over what has historically been the norm (and the level of current dissatisfaction with the major parties makes that a realistic possibility), we begin to enter a new situation. If candidates who are clearly opposed by the majority of voters are being elected, dissatisfaction will rise and momentum will be created for a more democratic system such as instant runoff or some other system requiring eventual majority consent. In our system, the changes will probably come state by state over a long period of time. A Constitutional change (which is not required to get away from a two-party system, but might have some merit), if it comes at all, would not come until that process was well under way. But long-term change would become much more possible, and we could get rid of the “lesser evil” dilemma. Most countries find that it is the third parties which become the engine for meaningful social change. Even in this country, that has happened with the election of third party candidate Abraham Lincoln. Once we move to a multi-party system, like most democratic republics have, there will be greater opportunities for all sorts of social change to move forward in our political system. So how can you exhibit long-range, social change oriented, thinking in this year’s elections? 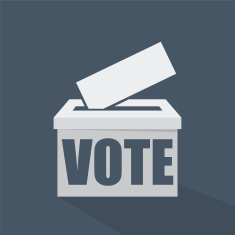 Vote for the candidates which best represent your values. Don’t vote out of fear of possible unintended consequences of your conscience-based votes. Vote your hopes, not your fears. Don’t despair of the possibility of change, but recognize that it won’t occur overnight.